Duncan Chau’s first job was working for the family business, Double Happiness Shuttlecocks Ltd. (“DH”), placing little stickers inside the badminton birdies that his father had been manufacturing since 1978. Anthony Chau, Duncan’s father and the founder of DH, was a banker who desperately wanted to switch careers. After sending out a thousand letters seeking opportunities, he found someone overseas who was having a hard time obtaining shuttlecocks. At that time, shuttlecocks were specialized objects typically manufactured in England. Overcoming the bureaucracy that had made it historically hard do trade with China, Duncan completed his first deal. Anthony started making shuttlecocks on the mainland and cornered a fast-growing niche market. Subsequently, he built the first factory, purchased the top-tier RSL brand, and made manufacturing agreements for well-known brands such as Prince, Wilson, and Head. 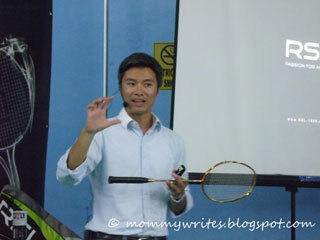 Since then, the company has grown along with badminton’s ever-expanding popularity. As a kid doing sticker duty, Duncan developed a sense of family responsibility and respect for the small efforts that go into maintaining a business. He went to England for school, worked as an engineer, and earned an MBA before coming back to Hong Kong to run marketing for DH. Double Happiness employs thirteen hundred workers, around half of those in the factory. The headquarters are in Hong Kong, a key distributor is in Europe, and one sales office is in China. Before Duncan came on board, turnover was very high at 20 to 30 percent. He has managed to slash that in half and initiate additional growth strategies. Here are a few of the things Duncan has done to evolve the company and keep DH on top of its game. To keep operations more manageable, DH had to minimize their sales force, so they streamlined down from four to two offices. Duncan compared managing the other offices to trying to put leashes on a lazy tiger and a wild horse. On the one hand, he struggled with a potentially volatile but ineffective relationship, and on the other hand, he was faced with an entrepreneur whose needs and desires were not compatible with the business. Cutting the two offices out was painful and expensive, but he is now relieved to have a relatively simple slate on which to revamp the company structure. He learned by letting go of the “wild horse” that hiring people for a niche-product company is difficult. Top-tier people come in with expectations outside of the company’s scope of possibility. Now, DH looks for someone who will fit into their industry with the ability to grow into a manageable role. I was guilty of hiring people who weren’t the best fit at NetConversions. NetConversions was a consulting intensive business, so whenever we won a large contract, we’d have to turn around and hire folks to staff up the project. (This is one reason why I want to work on a product-based company instead of a services-based company). When we hired these extra folks, I will admit that I was desperate. In hindsight, we should’ve negotiated a gradual project start, offered bonuses for current staff to work more hours, or turn down the project. The collateral damage of one bad hire is immense. I think the right long term solution is to constantly network and build up a bench of strong candidates that one can tap into at any time. Always be recruiting! Duncan’s solution for managing at a higher level is to host large-scale strategy summit meetings for the different levels of DH’s thirteen hundred worldwide employees: one for international, one for mainland China, and one for Hong Kong. These summits allow him to take a step back and listen while his employees discuss new ideas. He noticed that some of the more conservative managers who are usually dormant and quiet were so enthused about having a platform that they couldn’t stop talking. What makes these gatherings unique is that Duncan also includes his top customers. They are surprised to get questions, but involving them in “Start, Stop, Continue” discussions generates priceless feedback. Another important aspect of these meetings for Duncan is being on the “outside” of discussions. He moderates the summit, which he feels opens people up to communicating freely. If he participated in the talks, the direction might go a different way, so he keeps to the sidelines. Duncan also travels with his sales people, taking five-hour bus rides and basic, economical lodgings with them. He takes the time to do this not just to bond, but also because his sales people give him the best ideas they glean from being on the front-lines with customers. One such successful idea was to put a sticker with technical specifications on the racket so that when there’s no sales person, the racket will sell itself. With a product that doesn’t change very much, Duncan keeps a close eye on the evolving needs of his customers by keeping in touch with his employees. Factory employees process 1.5 tons of goose feathers per day with limited cooling and generally difficult conditions. Prior to Duncan’s arrival at DH, there didn’t seem to be a need for a “culture” at the factory. It was smelly and hard work, and Chinese laborers seemed to be just fine with the stability of a steady job. But their turnover was a high 20 to 30 percent, so Duncan realized that they needed to do something to retain their factory employees. So they improved factory site amenities, automating some processes in order to improve conditions and quality. I was surprised to hear that there are sixteen categories of feathers that were hand-sorted until the recent automation. The company also celebrates special occasions with parties, carnivals, and trips. Duncan integrates office and factory employees at company events to create a tighter community, which helps with retention. Duncan talked about the Chinese New Year celebrations that his factory workers enjoy before they go on their two-week holiday. The employees like spending time together. Making the New Year event feel like a family celebration gives the workers a reason to return to DH after the holiday. And if they bring a friend to join the company, DH gives them a cash bonus. Duncan is a big believer in integrating employees from different departments together whenever possible, but admits that not every experience has been a hit. He hosted a combined strategy summit for the China and Hong Kong offices, which have two very different company cultures. The Hong Kong office employees want more ownership and are proactive about generating new ideas and communicating openly. However, when the mainland Chinese team arrived at the summit, their manner was guarded. They focused strictly on receiving instructions. This attitude inhibited the Hong Kong employees, who suddenly became quiet, and the full-day agenda ended up being a three-hour event. Duncan couldn’t sleep for a week, lying awake and analyzing what went wrong, until he realized that it all came down to culture. Learning different styles and honoring different needs is the nonhierarchical management style that Duncan strives for. This idea reminded me a lot of Jessie Ng’s experience, learning to honor the unique styles that her groups have in planning even the annual party. As an entrepreneur and member of a family business, Duncan considers it part of his job to take out the trash and travel with his sales team in order to experience what they’re going through. Working on the manufacturing end is only part of what he does; he also has the mission of building the brand and diversifying DH’s offerings into shoes, clothes, accessories, tournament sponsorships, and everything else where you would see a world-class sporting good line involved. Getting in the trenches is where Duncan gets his ideas to innovate and build the company culture that he envisions, from inside to out.